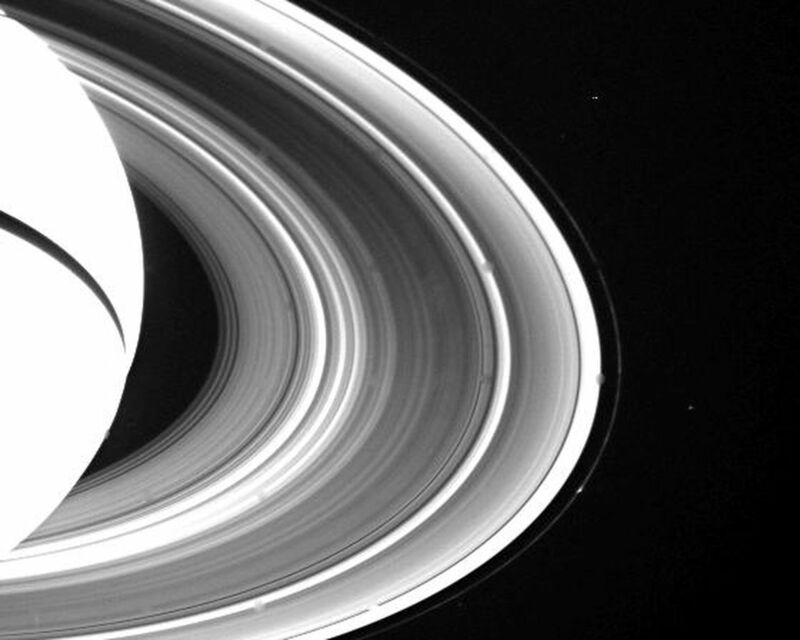 Spokes are seen on the unlit side of Saturn's rings for the first time in this Voyager 2 wide-angle view obtained Aug. 28 from a distance of 3.4 million kilometers (2.1 million miles). 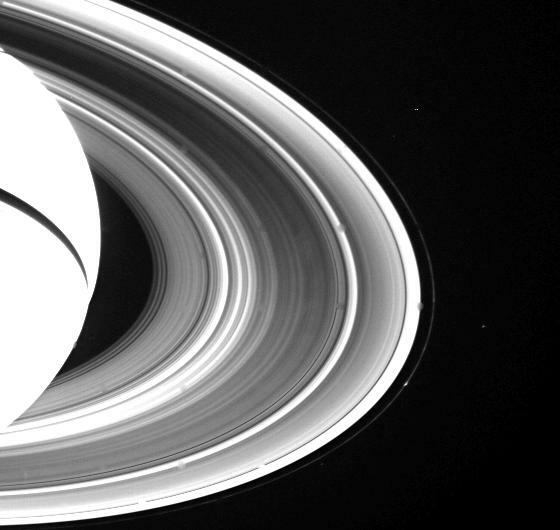 In order to bring out the very faint detail in the B-ring, the image was specially processed for the spokes and thus does not show the true relative brightness of the other rings. 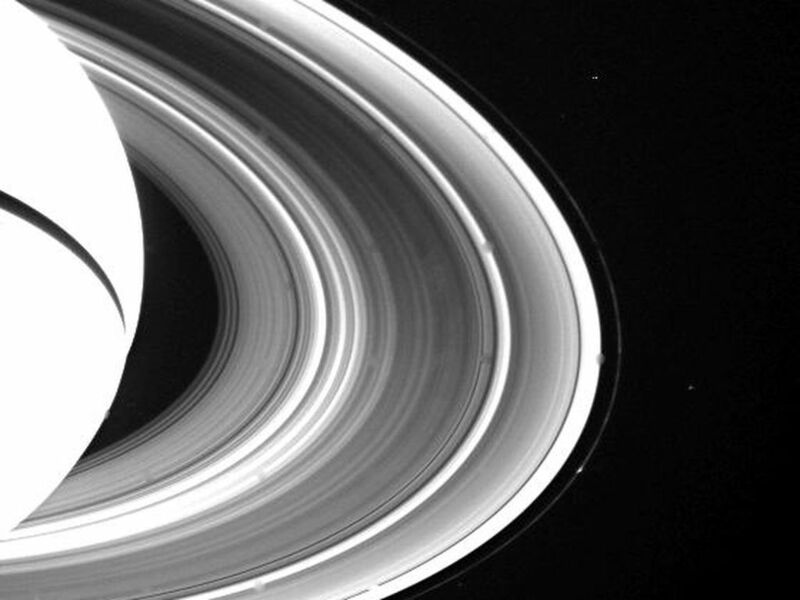 The spokes are visible as bright wedge-shaped and tilted features in the outer half of the B-ring (center of image). 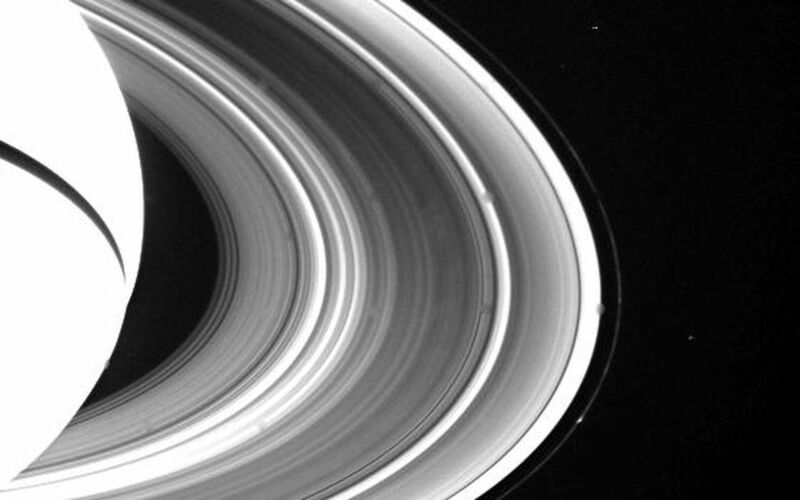 A time-lapse sequence to be taken later this week will help resolve the question about whether the spokes are forming on the darkside of the rings or are lit-side features seen through the rings. The Voyager project is managed for NASA by the Jet Propulsion Laboratory, Pasadena, Calif.